There are now more options than ever before to store your data in the cloud. While Dropbox, Google Drive, and Amazon Cloud Drive are among the most popular cloud storage services, there are also online backup services, like Backblaze and Mozy. When you factor in photo storage services, like Flickr, it’s easy to see how trying to sync files across these many services can make your head spin! It can be time-consuming, bouncing between services, trying to remember which files are stored where, and keeping within the limits of each service. Software and app developers have felt this pain, too, and developed several tools to help you sync files between multiple cloud services. 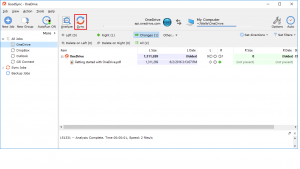 GoodSync is a free file manager that can back up and synchronize your files across devices. This eliminates the need to remember which laptop, tablet, external hard drive, or cloud service you stored that specific photo or important document. GoodSync’s software uses a bi-directional synchronization process to compare different file versions across locations and synthesize files in one easy-to-access menu. 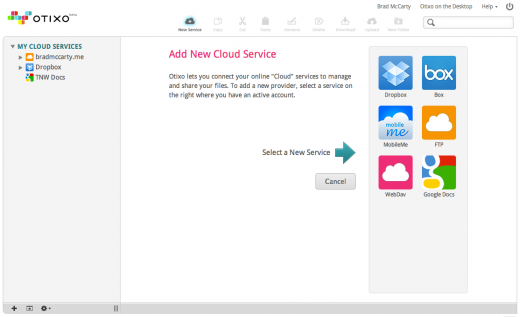 Otixo (ranging from free to $9.99/month depending on plan) is a cloud aggregator. The tool boasts a clean web interface that lets you organize, move, encrypt, and share files across different services. It’s easy for novice users to drag-and-drop files between services. Otixo uses AES256 encryption which packs the additional benefit of keeping your data secure. Although there are several free cloud management services available, Otixo remained in our list for best tools because it coordinates more cloud services than other tools available, while also incorporating vital security features. 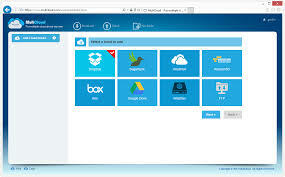 MultCloud (ranges from free to $7.99/month depending on plan) combines multiple cloud drives into one. 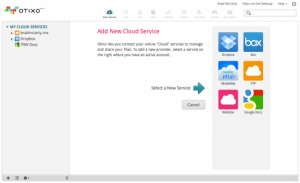 MultCloud is another web-based service that offers a few unique features. The service is unique because it continues to transfer files even after the device is powered off. This can be particularly helpful for users who wish to transfer a large number of files. Users can also schedule transfers or synchronize files with a specified extension, like .jpg or .doc. Questions remain about the “security guarantee” but it’s definitely a plus that this service considers security in its cloud management service. Just as cloud services are on the rise, so are software options to sync files between them. There are plenty of options, including desktop apps, web-based services, and mobile apps. While most options are free, you can use trial-versions of the premium services to determine which tool works best for you. Whatever service or services you choose, remember to regularly backup your files. If you need assistance with data recovery, Secure Data Recovery offer a wide range of services, including server data recovery. Submit an online help request today for a free/no-risk quote to meet your data recovery needs.